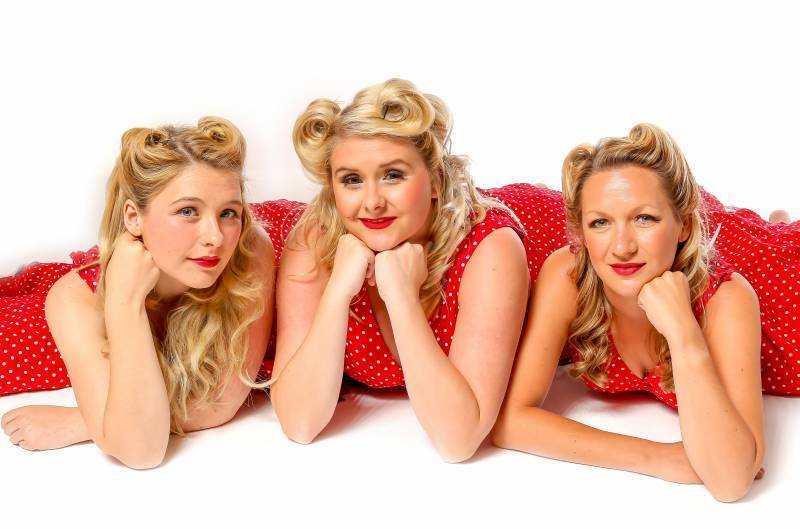 When Surrey Jive was formed we felt our 'Pin Up' should have a name. We called her Ruby. Our dances are held throughout the year and the events are called 'Jiving at Ruby's'. Details of the venue will be posted below, so please don't forget to check back with us! Whilst some of our 'Ruby's' events are themed, we would like all our guests to know that there is no requirement to wear retro clothing. We would much prefer you attend in whatever you feel most comfortable in. After all it is the enjoyment from dancing that matters! 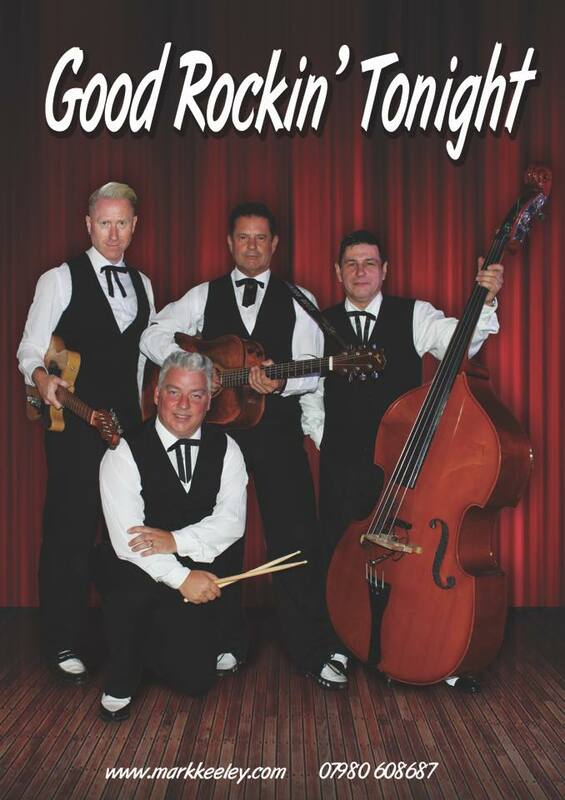 This month Mark Keeley's Good Rockin' Tonight takes to the stage at Ruby's and you won't be disappointed. 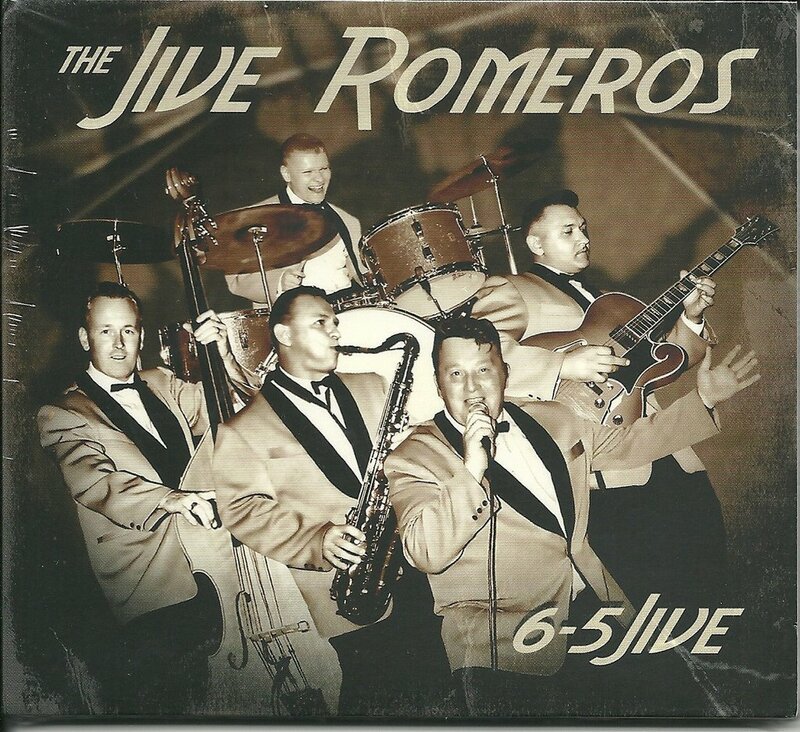 They have established themselves as one of the UK's top Rock n' Roll Bands having supported some of the greats in Rock n' Roll and these include Bill Haley's original Comets, The Crickets, The Drifters and Marty Wilde to name but a few. With national tv appearances and regular gigs in Europe they are a class act and you really won't want to miss their show. 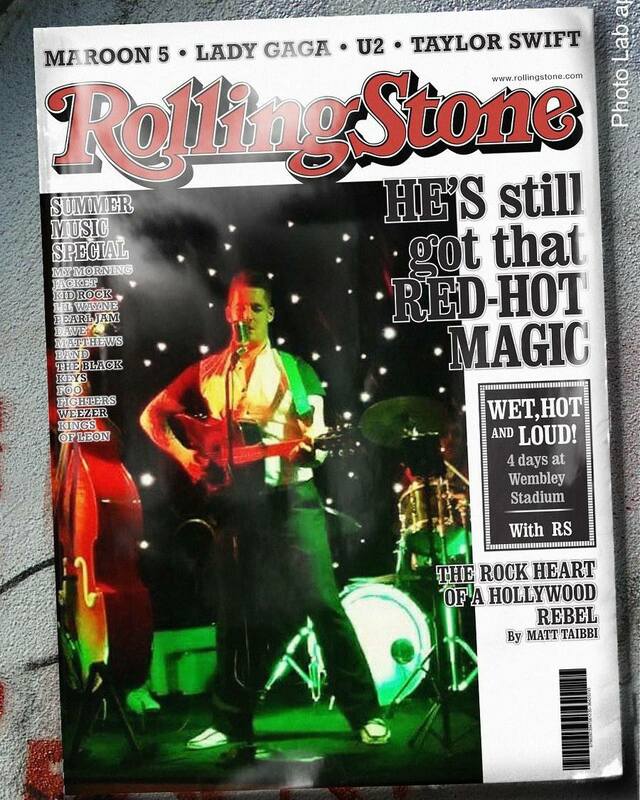 In between sets Surrey Jive's resident DJ Shakin' Shep will be playing his usual mix of R&B, Rock n' Roll and Jump Jive. Ruby's is well attended, and Surrey Jive create a warm and friendly atmosphere which is unique and makes people want to return month after month. Ashtead Peace Memorial Hall has a large sprung dance floor, licensed bar and plenty of free parking. The hall is situated close to the M25. Should there be any tickets left from advance sales these will be sold on the door for the same price. Thank you very much everyone and see you on the dance floor! Ashtead Peace Memorial Hall has a large sprung dance floor, licensed bar and plenty of free parking. The hall is situated close to the M25. This is our summer party so please dig out those bright shirts and grass skirts and make the hall an array of colour. There will be a prize for the best dressed lady and gent. That said, please don't feel you have to dress up as we want you to feel comfortable. After all it's your company we want. Don't let the two-piece set up fool you. Bill and Jim have to be two of the most talented singer/musicians on the jive circuit and each is a star in their own right. Put them together and you have a match made in heaven. 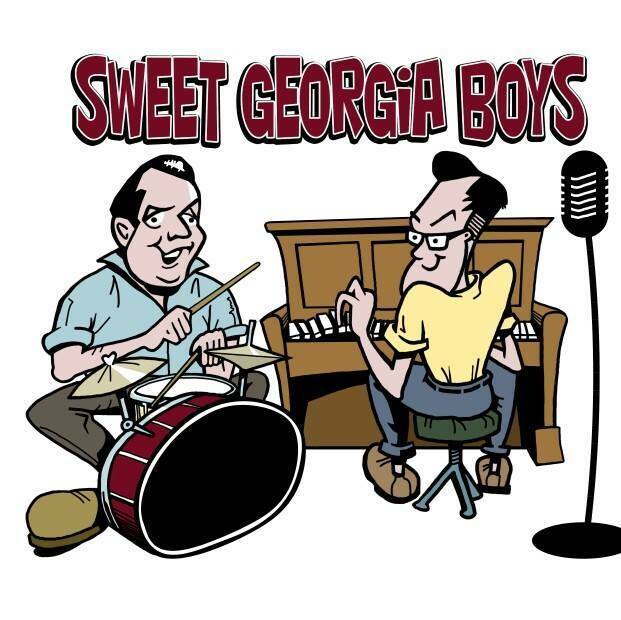 With Jim on boogie woogie piano and Bill on jump blues drums they create an awesome sound. Listening to Jim is like listening to Jerry Lee Lewis and Bill captures Elvis's voice perfectly. They really are the perfect combination for an electric night of entertainment. Please don't miss it. 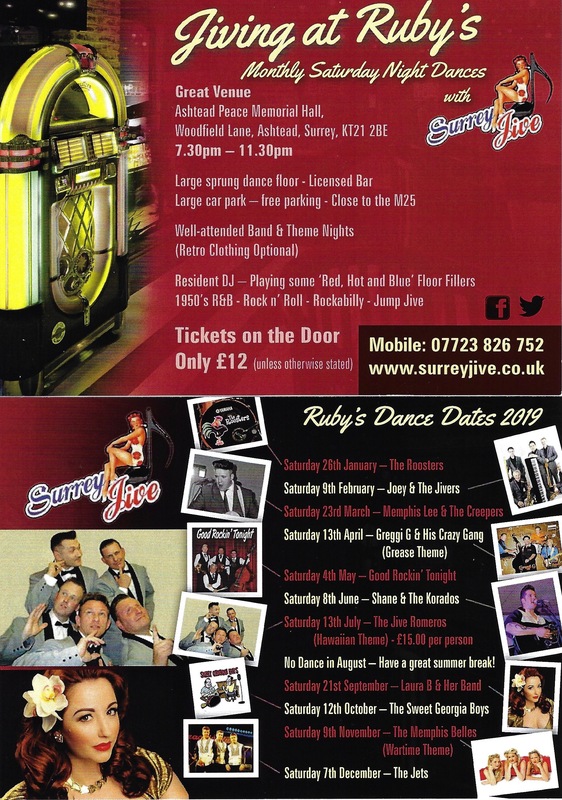 Yes, it's 1944 everyone and Ruby's is taking you back to the wartime years..... so why not come along and 'Boogie in the Bunker' with Surrey Jive! This has to be one of our most popular dances of the year and the atmosphere is always fantastic. We go to great lengths to decorate the hall as a period dance hall and the props just seem to keep growing every year. So why not get in the spirit and come dressed in 1940's allied uniform or civilian dress? Whilst period dress is preferred it is not essential because your company is more important to us. To add to the authenticity of the evening we have 'Memphis Belles' performing for you at 7.30 pm and again at 8.45 pm so please don't miss their show. They really are a talented trio and when you listen to their harmonies you would think 'The Andrew Sisters' had made a comeback. Ashtead Peace Memorial Hall has a large sprung dance floor and licensed bar. 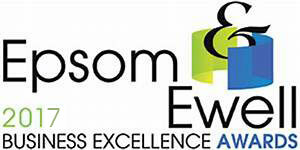 There is plenty of free parking and the hall is situated close to the M25. Add Ruby's warm and friendly atmosphere and great music and you have all you need for a perfect evening. Tickets are available in advance with any remaining tickets on the door at the same price of £12.00 each. We hope you can make it to 'The Home of Happy Feet'. See you on the dance floor! It's time to party everyone and what better way than with 'The Jets'! The Jets really are rock n' roll royalty and we just love having these guys at Ruby's. With eight UK chart hits that include 'Yes, Tonight Josephine' and 'Love Makes the World Go Round' you can easily see why these guys are still massive on the jive scene nearly 40 years later. I still can't believe I saw them when I was 16! Their performances as you would imagine are slick and polished. They know what gets the party going and know what you want to hear. Please don't miss this one it's going to be a night to remember. Tickets are available in advance and any remaining tickets will be available on the door at the same price of £12.00 each. We hope you can make it to 'The Home of Happy Feet'. See you on the dance floor!